It's 2014 and we're enjoying some of the highest quality kits we've ever seen in the hobby, and while some of us have been quietly selling some of the older, "obsolete" kits in our stashes, a few dedicated modelers have been building them and creating masterpieces in the process. If you want my respect, build an old model and do it extremely well. 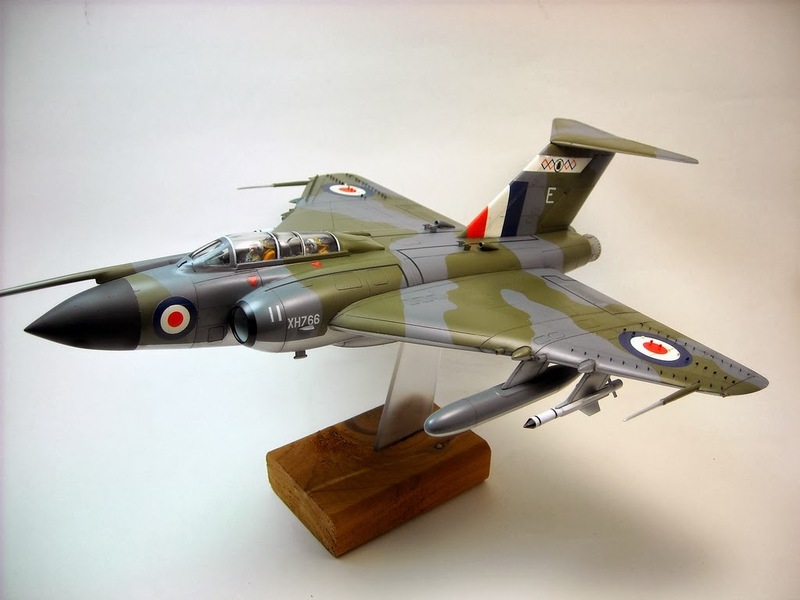 That's what Erik Houghton did over on 72nd Scale Aircraft with a really old Frog 1/72 Javelin FAW.9R. He's rescribed the model, added a great deal of detail, and applied a top flight finish to it. If I didn't know better I'd think that Trumpeter had done gone and released a new-tool Javelin while I was off watching the Winter Olympics! Take a look at Erik's build. You'll be inspired, and you'll find a few tips (such as his manufacture of the wing vortice generators) that you can apply to your models, whether they were manufactured 40 years ago or four months ago.